Art Omi: Architecture facilitates projects that explore the intersection of architecture, art, and landscape by architects. This unique program offers 60 acres to exhibit physical structures such as pavilions, installations, landscape interventions, and constructed environments designed by architects, as well as indoor gallery exhibitions. In addition, Art Omi: Architecture offers an annual international residency program for early to mid-career architects, providing an opportunity to develop ideas during two weeks on Art Omi's campus. Since 2016, Manhattan-based architect Warren James has served as Director of Art Omi: Architecture. Situated on three-hundred acres in the Hudson Valley, Art Omi presents the works of contemporary artists and architects, and offers the opportunity to experience a range of large-scale works in a singular outdoor environment, plus a 1,500 square foot gallery. The Sculpture & Architecture Park currently offers more than 60 works of art and architecture on view, with pieces added or exchanged each year. Art Omi welcomes the public to its events and grounds free of charge, and is open daily. 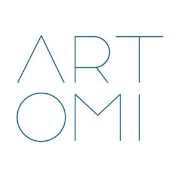 Art Omi is a not-for-profit arts center with a 120-acre sculpture and architecture park, gallery, and residency programs for international artists, writers, translators, musicians, architects and dancers. Art Omi believes that exposure to internationally diverse creative voices fosters tolerance and respect, raises awareness, inspires innovation, and ignites change. By forming community with creative expression as its common denominator, Art Omi creates a sanctuary for the artistic community and the public to affirm the transformative quality of art.